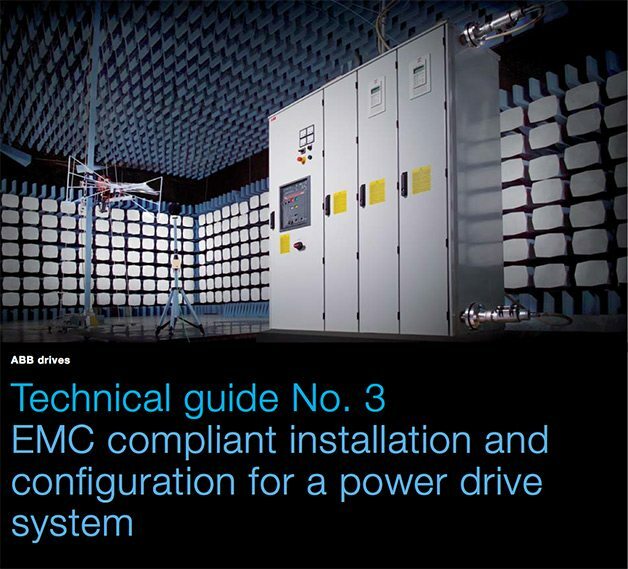 This guide assists design and installation personnel when trying to ensure compliance with the requirements of the EMC Directive in the user’s systems and installations when using AC drives. The purpose of this guide is to guide Original Equipment Manufacturers (OEM), system integrators and panel builders (assemblers) in designing or installing AC drive products and their auxiliary components into their own installations and systems. The auxiliaries include contactors, switches, fuses, etc. By following these instructions it is possible to fulfill EMC requirements and give CE marking when necessary. EMC stands for Electromagnetic Compatibility. It is the ability of electrical/electronic equipment to operate without problems within an electromagnetic environment. Likewise, the equipment must not disturb or interfere with any other product or system within its locality. This is a legal requirement for all equipment taken into service within the European Economic Area (EEA). As variable speed drives are described as a source of interference, it is natural that all parts which are in electrical or airborne connection within the power drive system (PDS) are part of the EMC compliance. The concept that a system is as weak as its weakest point is valid here. Electrical equipment should be immune to high-frequency and low-frequency phenomena. High-frequency phenomena include electrostatic discharge (ESD), fast transient burst, radiated electromagnetic field, conducted radio frequency disturbance and electrical surge. Typical low-frequency phenomena are mains voltage harmonics, notches and imbalance. The source of high-frequency emission from frequency converters is the fast switching of power components such as IGBTs and control electronics. This high-frequency emission can propagate by conduction and radiation. The parts of a variable speed drive controlling driven equipment as a part of an installation are described in EMC Product Standard EN 61800-3. A drive can be considered as a Basic Drive Module (BDM) or Complete Drive Module (CDM) according to the standard. It is recommended that personnel responsible for design and installation have this standard available and be familiar with this standard. All standards are available from the national standardization bodies. Systems made by an OEM or panel builder can consist more or less of the PDS parts alone, or there can be many PDSs in a configuration. The solutions described in this guide are used within the definition of power drive system, but the same solutions can, or in some cases, should, be extended to all installations. 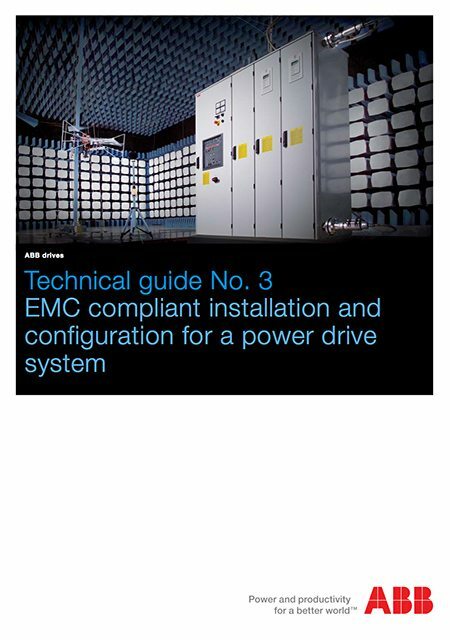 This guide gives principles and practical EMC examples, which can be applied to a user’s system.